Presently, the fintech industry is irreversibly facing the era of digitalization, expansion of blockchain and the Internet of Things. In view of these phenomena, peer-to-peer (P2P) lending secured by crypto collateral is conquering the marketplace, thus offering transparency, speed, global access to cryptocurrencies, new opportunities for further growth and development. Blockchain-based P2P lending platform LendaBit.com is a novice fintech startup driven by the idea to implement advanced innovations, adopt next-generation solutions and make the lending process short-cycled, zero-bureaucratic, reliable, blockchain-based, secure and transparent. LendaBit.com is pleased to present its seed investor and the company’s CEO to the public. Marat Kichikov is an expert entrepreneur with more than 20 years of experience in the fintech industry, banking and consumer lending. After a thorough analysis of the existing cryptomarket and its opportunities, Marat Kichikov shared his idea of crypto-secured P2P lending with Deniss Moscenko, a versatile professional in startup development and strategic management. Deniss Moscenko took the plunge to co-found new and highly competitive fintech startup LendaBit.com. 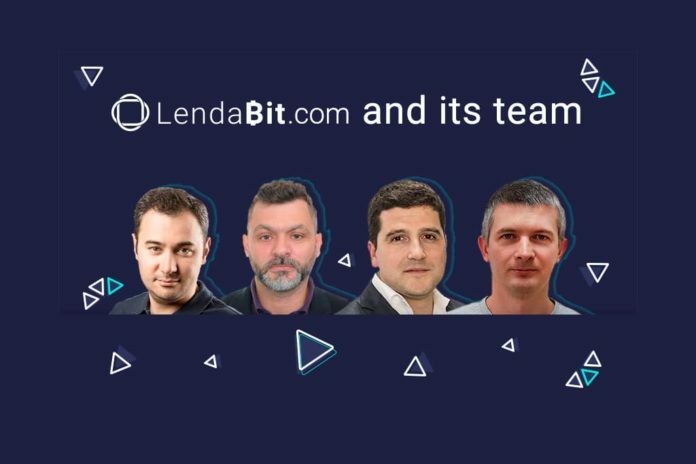 Marat Kichikov, being an adept of the Bitcoin ecosystem and digital transformation, saw how promising LendaBit.com is and made a balanced decision together with other top executives of collaborative investment fund BitFury Capital to become the seed investors of the startup. Deniss Moscenko is dedicated to solving company problems using critical thinking skills. He’s been in asset and risk management for more than 20 years in one of the top Latvian banks, where he facilitated process development, improved manager engagement in company affairs and leveraged financial expertise to upgrade corporate policy and procedures. After consultations with Marat Kichikov, Deniss Moscenko realized that it was a perfect chance to fill the crypto market niche with a focus on P2P lending. Having a team of professional IT engineers, designers and marketing specialists, he co-founded blockchain-based P2P lending platform LendaBit.com to satisfy the urging needs for reliable, speedy and affordable services both for lenders and borrowers. The platform has been designed to remove all unnecessary steps from the lending process and provide more attractive terms. The prime focus of the LendaBit.com team is customer insight and perfect service quality delivery. By embracing contemporary business models and engaging with blockchain technology, the platform is ready to take the lead in the fintech industry and ensure the highest quality and IT security standards.